Vermont’s 1970’s counter culture is the topic of an upcoming exhibit at the Vermont History Center in Barre. This promotional photo for the exhibit was taken in front of the Frog Run Farm in East Charleston in the 1970s. 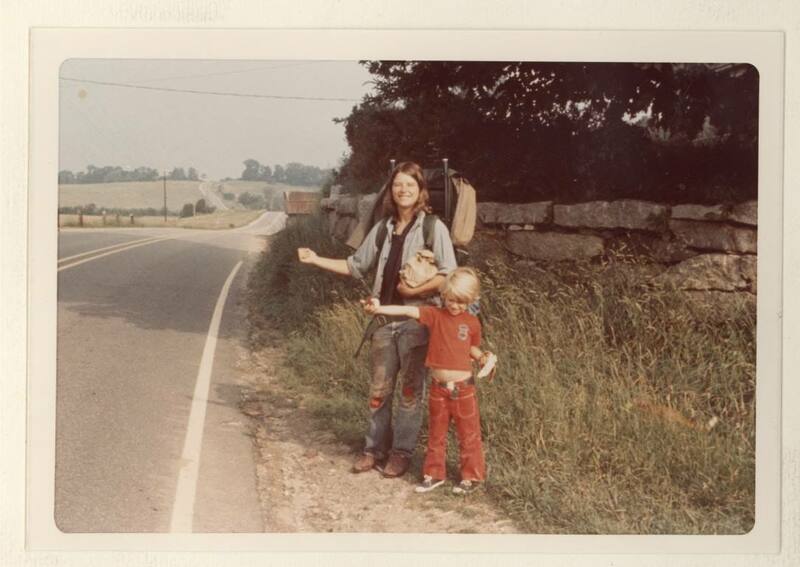 It is of Mary (Houriet) Mathias and her son at the beginning of a hitchhiking adventure. In recent years, Mary wrote a multi-piece series about the Frog Run Farm in Vermont’s Northland Journal. To learn more about the upcoming exhibit, click HERE.